Being a mature baseball player takes time. However, every once in a while players show an incredible maturity level that generally equals success in the game. 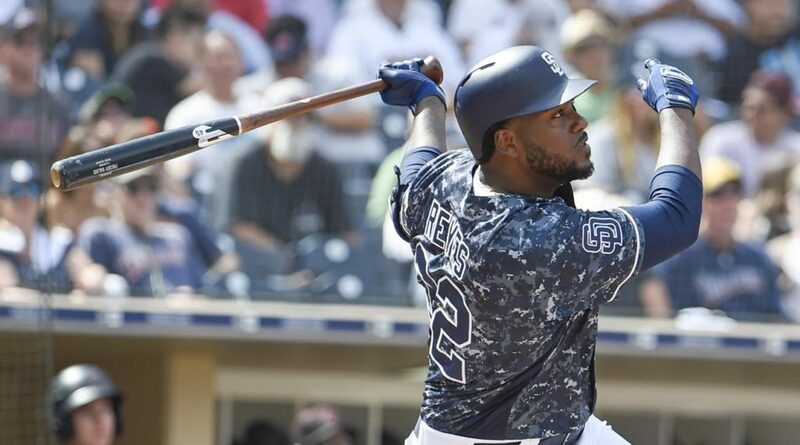 Franmil Reyes is becoming a crowd favorite for his charismatic smile and mammoth home runs, but there is much more to the San Diego Padres’ outfielder, and it has to do with his maturity about the game. 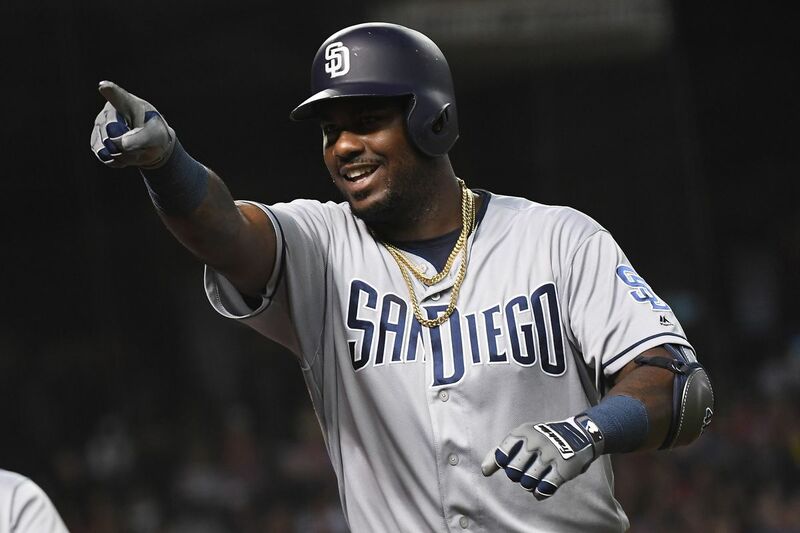 The story of Franmil Reyes is well-known around the city of San Diego. The energetic Dominican is full of swagger and has one of the biggest smiles in the league. What most people do not realize is how much he studies the game. Franmil craves information about his swing and improving his overall play in the league. The drive and never-ending quench to get better are rare in a player who is still only 23. He also shows incredible character. Many of his teammates refer to the fact that Franmil is an excellent influence in the clubhouse. From rookies to veterans, they all sing the same tune about the outfielder and what he brings to the team. Franmil Reyes spent many years in the minors. He grinded away at his craft but needed something more. “When I was in the minors for my first four years, I was just a normal player who was having fun. I wasn’t serious. It’s not because I didn’t want to be; it’s that I did not recognize how important it is to get your mind on the game. To be 100 percent focused,” Reyes said with an intense voice. It was one particular winter that it all came together for Franmil. “After my year in Lake Elsinore, everything started going better. My career started feeling different. I had a conversation with my mom one day when I was in High-A. I told her I was going to be a different player,” At the age of 20, Reyes began to take his career very seriously. 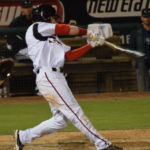 He led the Padres’ minor leagues in home runs, and RBI’s in 2017 with the Missions. A focused Reyes was becoming a different player. The organization was starting to take notice. Last spring, he was invited to major league camp despite suffering from a hamate bone injury playing in the AZL for the Javelinas in 2017. 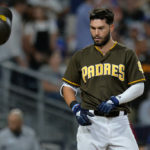 Reyes was the talk of camp and came out of nowhere to eventually push the Padres hand into giving him playing time in 2018. “When I was first invited to big league camp, I obviously knew I was not going to make the team. I came with the mindset to take all the good information from the guys who have a lot of experience. To take it with me to wherever league they send me,” Reyes said. The Padres were impressed with the mindset he came to camp with. 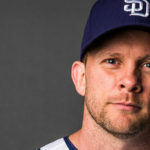 That had a lasting impression on Andy Green who made note to praise Reyes early and often. Franmil speaks about a particular moment where he started to really feel the competitive spirit last spring. 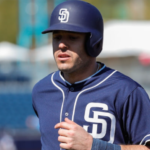 The Padres held a forum where several Latino players were being “mentored” and spoken to by veteran Latino ball players on the Padres. “I asked a question to Freddy Galvis. I asked him how long it took him to be focused just on baseball — being “a man” on the field. He said it took him like four years, but if he knew about it before, he would have made it to the big leagues sooner,” Reyes said seriously. ” I got more motivated from that,” Reyes said. When he was asked about the other players in the room and what they took from the meeting. “Everybody had a chance to listen to the answer Freddy gave me. If they did not take it with them, then that’s a big problem,” Reyes said sternly. The results from 2018 speak for themselves, but La Mole is not satisfied with them. He knows that he can do better. Franmil Reyes realizes his potential; he also acknowledges that he is working to achieve it. 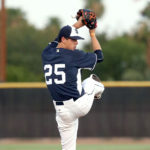 Spring 2019 brought more competition for Franmil in terms of playing time. “There was a big competition here when I came into spring training,” Reyes said with a nod. He does not shy away from it, and when asked about all the other outfielders on the team, he praises their efforts. “My confidence is really high. I work hard. I try to be prepared for every opportunity that they give me,” Reyes tells EVT. Despite a slow start to the season, He is scolding the baseball. He has the highest exit velocity on the team. The hits will come and so will the playing time. Manny Machado brings an edge to the San Diego Padres. Something that they have lacked for a long time. The team will not be pushed around. “I really, really got excited (when Machado signed). Manny is a really big piece for our team. He is a guy who plays to win,” Reyes said. 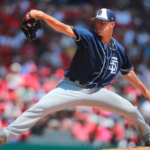 The Padres need a player who demands the best from teammates. “This year we are gonna win a lot of games. We have a lot of motivation,” Reyes said. 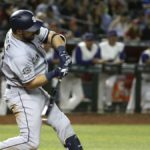 Motivation makes the game fun, and the Padres are certainly having that every day they come to the ballpark. Losing playing time to qualified players is just part of a being on a winning team. Reyes realizes this and is often the first one to greet a player as they come home from scoring a run. “We support our teammates from the bench. We needed that before. In the clubhouse and the dugout, we have a lot of energy,” Reyes said. The team is in a better place in 2019, and Franmil already sees the difference. The dynamics of hitting is difficult. 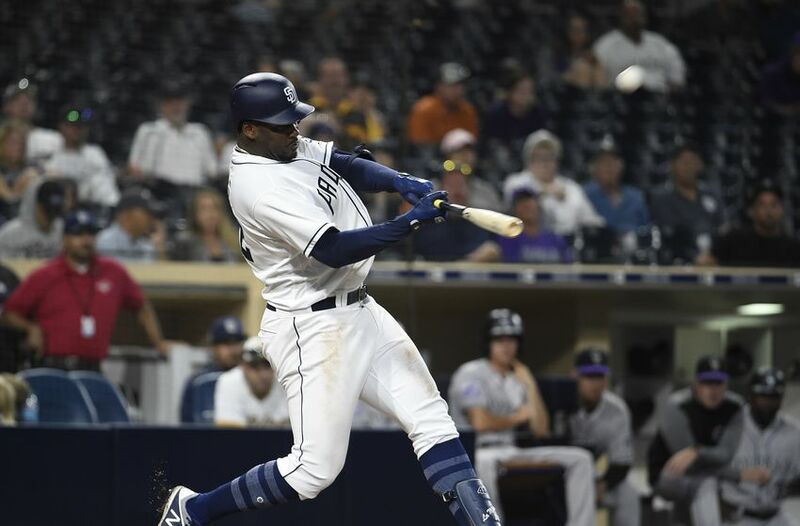 Franmil Reyes has light tower power, but he is working to be more than just a one-dimensional hitter. He adjusts at the plate continually and will shorten up his swing and go the other way with two-strikes. These are characteristics of a complete hitter. He is already shown he can hit in the middle of the order and produce. “I want to show everybody that I am not just a power hitter. I am a hitter. I am just looking for a pitch where I can do damage,” Reyes said. The Padres have depth in the outfield, and because of that, Franmil has been removed late in games on double-switches and such. “If we need it, we have to do it — anything for a win. I don’t care if you take me out in the fourth inning. If my team is winning, I don’t care,” Reyes said seriously. He desires to win, and the big man will do anything necessary to get the job done. He is the consummate team player. The maturity level is off the charts. Fernando Tatis Jr. and Franmil Reyes know each other well. They have competed against and with one another in the Dominican Republic and the backfields of Arizona. “He is a player I admire. You don’t have to be younger than a guy to learn from them. He is a guy I really want to follow. I love the way he plays the game. The motivation and energy he has for the game. He is an awesome player,” Reyes said smiling. He lights up talking about Tatis as most of the Padres do. The skill level of the 20-year-old Tatis is legendary. James was born and raised in America's Finest City. He is a passionate baseball fan with even more passion towards his hometown Padres. Editor-In-Chief of EastVillageTimes.com. Always striving to bring you the highest quality in San Diego Sports News. Original content, with original ideas, that's our motto. Enjoy.